D A Saddles are made and designed by David, a fully qualified master saddler with the input of professional riders to achieve maximum harmony and communication between horse and rider. All saddles are made to measure with individual and specific needs at the heart of each. All variations and specifications considered to make your saddle unique and bespoke! D A Saddles are also offering a wide range of accessories. 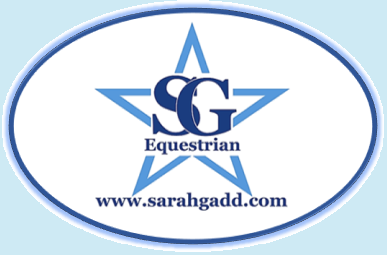 Please check out their website for more information on their fantastic saddles and accessories: www.dasaddles.com. Dave from D A Saddles came to the yard so I could have a ride in the saddles on Milli on Easter Monday and it was 'love at first sit!' for both me and Milli sure joined in and showed her like for them by schooling and jumping brilliantly! The saddles felt super and I rode in 3 of the saddles that they make and loved them all!